In its annual house cleaning, in which it cuts the worst performers among its ranks, Goldman Sachs will today begin laying off five percent of its staff. This year it's expected that Goldman will shed hundreds of traders (as opposed to bankers), as trading volume and thus trading revenues have suffered in recent quarters. Goldman's (as well as other banks') fixed income trading division has seen a 20 to 25 percent reduction in revenues, while equity trading is down 10 percent. Overall, Goldman is expected to sack 1,785 of its 35,700 employees. And, already, some of those slated to be let go have jumped ship -- typically, once Goldman employees receive their bonuses, they know (by how high or low the figure) if their head will be one of those set out on the choppping block. And so, many quit before being thrown overboard. 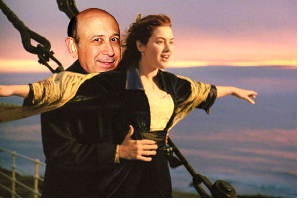 In other Goldman personnel moves, one of the bank's board members has stepped down. H. Lee Scott, a former CEO of Wal-Mart, who joined the board in March 2010 after Rajat Gupta stepped down from the board, has quit to pursue "other committments." Of course, Gupta is now one of the star witnesses in Gallen Founder Raj Rajaratnam's insider trading trial (in which Goldman Sachs CEO Lloyd Blankein might also serve as a witness). Gupta has also been sued civilly by the SEC for allegedly passing on material inside information about Goldman Sachs and Proctor & Gamble. It remains to be seen whether or not Gupta will also face criminal charges, but a few lawyers believe that Gupta is largely in the clear, saying that if the SEC wanted to bring criminal charges, they would've done so already. Further, they say that the taped conversations between Gupta and Rajaratnam are not enough to prove that the ex-Goldman board member has committed any crime.